I notice that the latest children's book I illustrated has been posted on that publisher's website as available. In this sweet story a family explores the world of ice cream in search of new flavors and even goes to Italy as part of their search. It was a fun one to color and one with gave me a good place to implement some color techniques I had been wanting an excuse to use. I will point out that I did not do the text layout on this cover piece. In this short children's tale we meet the Starr Family. They love ice cream so much that they go on adventures to find new flavors. Each member has a different idea. This even includes a family vacation (and a little implied romance for mommy and daddy) to Italy. 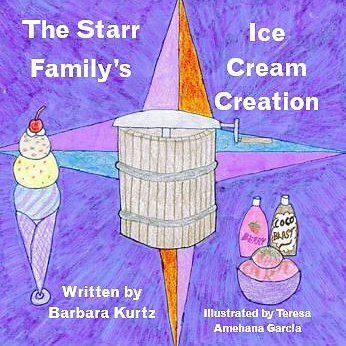 "The Starr Family's Ice Cream Creation" by Barbara Kurtz and illustrations by Teresa Amehana Garcia. You can get it now at the Publisher's Catalog page or on Amazon . If you click the link above to buy off of Amazon I get a very small bonus from Amazon. Such purchases help me out as I was paid a per illustration fee and so collect no royalties of of this particular work. If you'd like to tip me after you've read the book please feel free. There are a few ways you can do so. 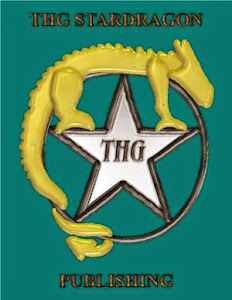 Looking for where you can find my own books or art?